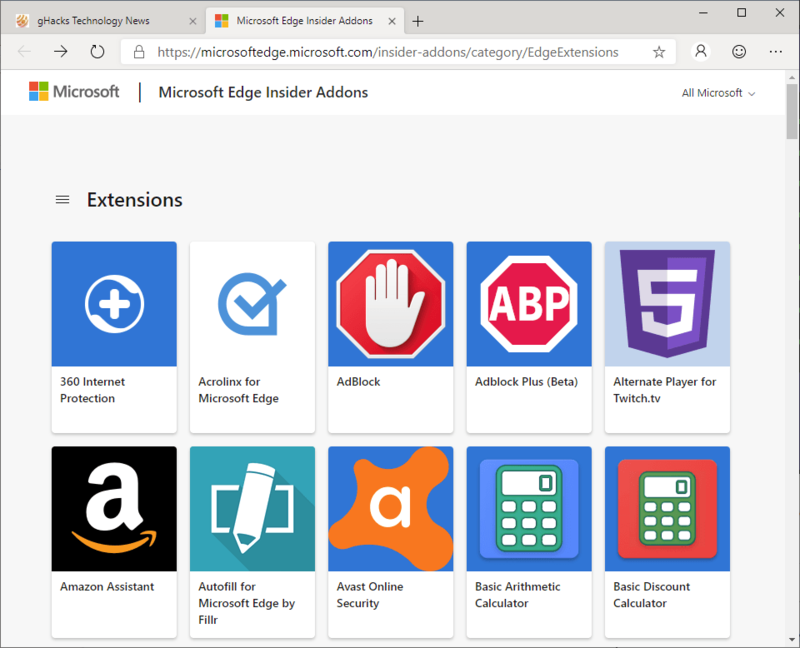 Microsoft Edge users may install extensions from Microsoft's own extensions store for Edge, or enable an option in the web browser to unlock extension installations from the Chrome Web Store as well. I decided to compare the available extensions for the Chromium-based Microsoft Edge browser that are offered on Microsoft's Edge extensions store with what is being offered on the Chrome Web Store. Microsoft's Edge extensions store list 117 extensions. The number of extensions on the Chrome Web Store is unknown as Google does not reveal it.